If you ask petrol heads to name the toughest vehicle on the market, they’re likely to mention the Toyota Hilux. The utilitarian pickup is the transport of choice in war zones, on construction sites and for crossing deserts. Essentially, it’s one of the most durable machines on the planet. The Hilux is also the pickup on which the Toyota Fortuner is based. 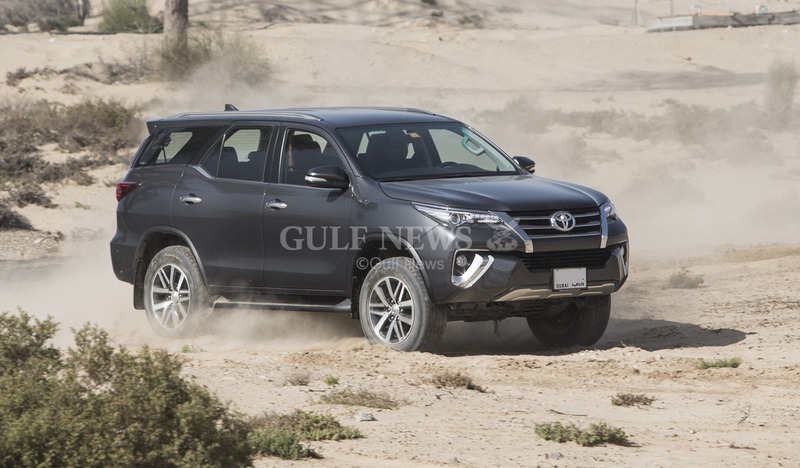 Yet, while the bulletproof Hilux is designed to appeal to a particular niche, the Fortuner has a wider appeal. Aimed squarely at the mid-range SUV segment, its road manners and premium interior mark it apart from its rugged stablemate. Highs Climb aboard a Fortuner and you’re more likely to find similarities to the (taxi drivers’ favourite) Toyota Camry than the Hilux. In fact, it’s the best of both worlds in the Fortuner, with the all-terrain conquering capabilities of the Hilux complemented by the everyday usability of the taxi stalwart. With adaptable seating for up to seven passengers and all the latest kit, such as rear entertainment screens for rear passengers and paddle shift gears, the Fortuner also arrives with an options list that’s crammed with the latest kit. Lows While there isn’t much to fault with the Japanese carmaker’s mid-sized off-roader, its masculine lines may not appeal to everyone. Decent ground clearance and a high roofline make the Fortuner a solid family hauler but if you’re more accustomed to sportier motoring, you may need to look at more premium German badges for a racier ride and handling. 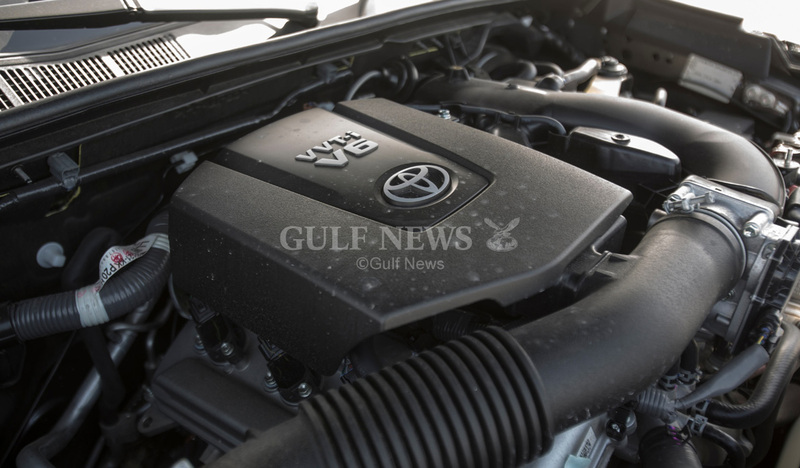 Toyotas are renowned for their reliability and the Fortuner is no different. 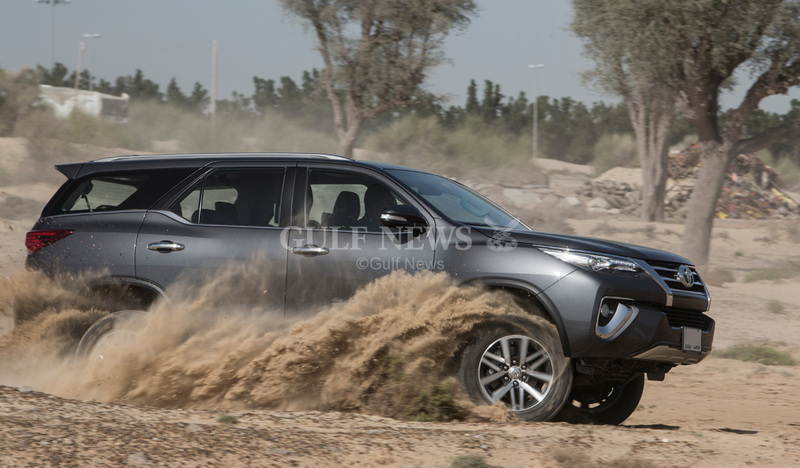 A common sight on roads here in the UAE, this family SUV’s popularity means you shouldn’t have many issues selling it on for a good price. A solid all-rounder, the Fortuner is a reasonably priced, well-equipped and spacious 4x4 with class-leading off-road ability. Opt for the larger 4.0 litre V6 petrol model and you’ll find yourself behind the wheel of a respectable (sub 10 seconds to 100kmph) family hauler, with generous standard kit.